This guide is designed as an introduction to research data and the management of data for the research community at Bond University. As a researcher, you should clarify ownership of and rights relating to research data before a project starts. Ownership and rights will determine how the data can be managed into the future, so these should be documented early in a project through data management planning. All research data created at Bond University is subject to the Intellectual Property Policy and associated policies. In general, Bond University owns intellectual property rights, including copyright, in research data originated by academic staff. In the case of research works or data, the University assigns copyright in that work to the academic staff member who created the work. The University retains the right to reproduce or disseminate this work for teaching and research purposes on a royalty-free basis. 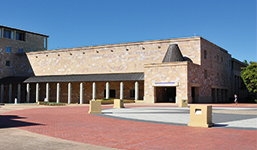 Bond University retains ownership over research that is used in course materials. The author is granted the right to reproduce or disseminate the work as part of their teaching and research. The University also owns intellectual property rights in data created or generated by an academic staff member where the University has made a specific contribution to the creation or collection of data, e.g. through funding or facilities, or through the provision of background intellectual property. If the research is subject of an agreement between the university and a third party that deals with IP rights, for example a funding agreement that assigns all or some ownership of the research. Where research is conducted in collaboration with partners outside of Bond University, or for external agencies (e.g. funding bodies), ownership of copyright and other IP needs to be explicitly agreed to by the parties. Ownership of copyright and other IP will commonly be dealt with in a document such as a funding agreement, contract or a memorandum of understanding. All researchers should be familiar with the requirements of any funding agreements, contracts and partnership arrangements, and consider these during the data planning process. This template is a good starting point for your data planning. It covers all the aspects of research data you will need to consider prior to starting your research project, and when completed can be attached to your ethics application. to data that is used and created as part of research at the University. Australian copyright law applies to research data that is created or compiled, in the same way that it applies to written works such as books, journal articles and reports. The data must be sufficiently original for copyright protection. Originality requires some exercise of independent intellectual effort by an author or authors in the creation, selection, presentation, or arrangement of information. Examples of research data covered by copyright include tables, compilations, datasets, databases, and collections of photographs or multimedia works (sound files or videos). Further information is available on the Australian National Data Service (ANDS) website. Since being formally established in 2008, ANDS has supported numerous research data projects around Australia. It has also been playing an important role in the international research data community. Usage of data from third parties will usually be subject to copyright and/or licensing agreements. Even if research data is freely available for download on the internet, there may be terms and conditions associated with its use. Copyright is retained under most purchase agreements or licences. However, copyright owners through licensing arrangements may give express permission for certain kinds of use / re-use, for example non-commercial use. If the data you want to use (re-use) has no evident express permission, you will need to approach the copyright owners yourself. You can license your data collections if you want to make your data openly available. A license makes the terms and conditions of reuse clear, and makes it easier for others to identify how they may use your data. Data can be licensed using a Creative Commons license. For further information, visit the ANDS Creative Commons and data guide. Australian Governments Open Access and Licensing Framework AusGOAL is another licensing framework you may wish to consider.Further information is available on the ANDS AusGOAL guide. Contact researchdata@bond.edu.au to discuss any aspect of licensing your data. Considering commercialisation as part of data planning will help ensure that commercialisation goals can be balanced in the longer term with policy and funding requirements around data sharing (particularly for publicly funded research) and knowledge creation. Commercialisation may necessitate limiting access to your research data temporarily, but it may be possible to provide open or licensed access at a later date once the commercial value of the data has been assessed.